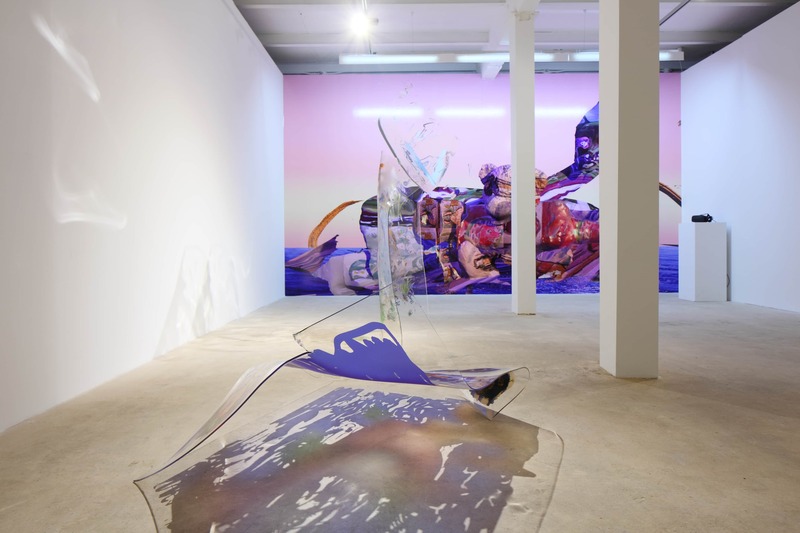 Art in General presents a solo exhibition of newly commissioned work by New York-based multi-media and installation artist Rachel Rossin in partnership with Kim? Contemporary Art Centre in Riga, Latvia. 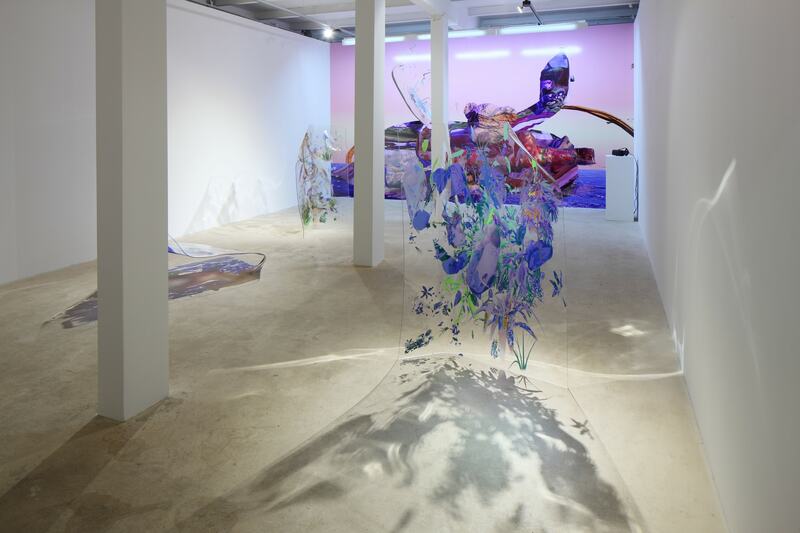 Working seamlessly across traditional art forms and new technologies, Rossin investigates the boundaries between, and changing perceptions of, the hyper-real and the imaginary. In My Little Green Leaf, Rossin presents a virtual reality work within a physical installation, using Oculus Rift headset that cut out external stimuli and provide access to an experience of space that defies gravity. These devices—which have integrated headphones with 3D audio effect and rotational and positional tracking—also allow users to experience the work while sitting, standing, or walking around a room. Environments and ‘objects’ appear to disintegrate and reform, explode and implode, confusing our sense of space and what can be within one’s control. This new VR piece presents an interactive simulation, populated by rebinding animation rigs that were initially intended for different geometries and 3D forms but that are now set into motion by artificial intelligence (AI). Alongside are sculptures and a vista that are essentially folded ‘substrates’ extruded from the VR works. 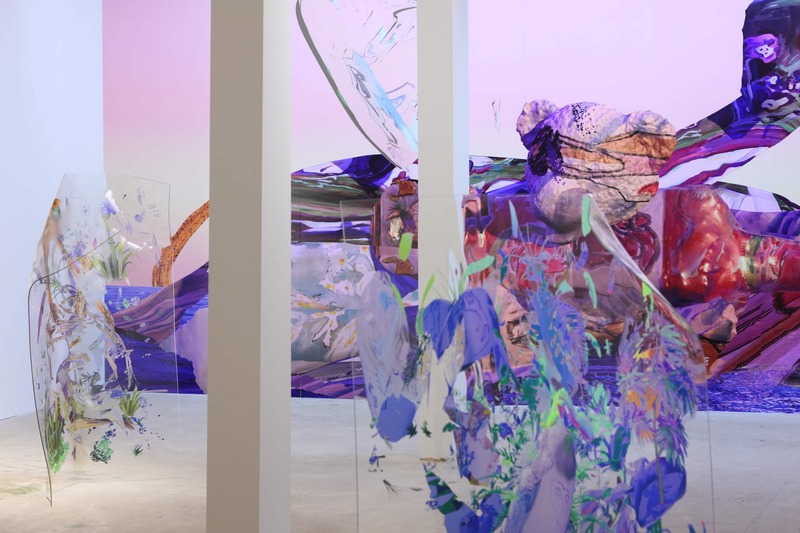 Here, the sculptures act more as three-dimensional paintings that the artist has molded entirely through the pressure of her body, while the vista emulates the idealized landscapes that are o en created for desktop backgrounds/screensavers. These virtual and physical components cannot be viewed at the same time, but the experience of switching in and out of, or between, such different modes of perception is at the heart of Rossin’s work. 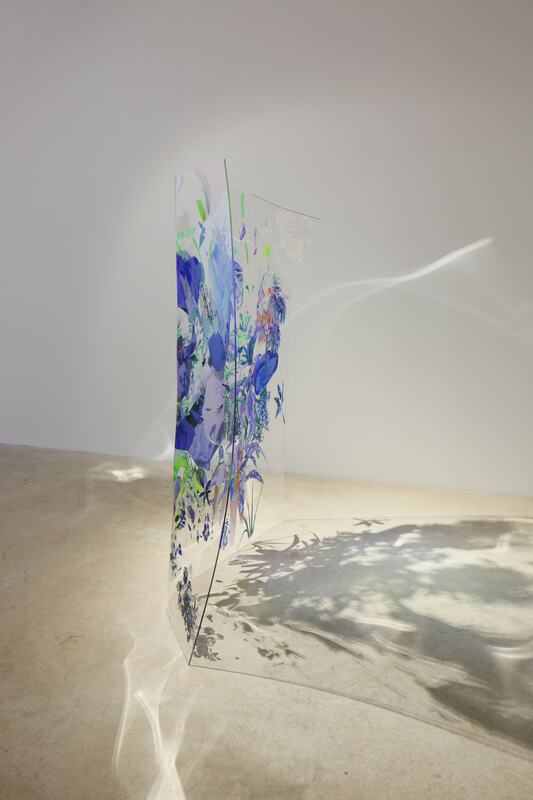 For Rossin, the contemporary experience of the world is not a binary one in terms of the relationship between these: much as her practice operates across physical and immaterial states, it rather exists along a gradient between them. Rachel Rossin (b. 1987) lives and works in New York City. She has been both an artist and computer programmer since her childhood in West Palm Beach, Florida. Rachel Rossin’s solo shows include Lossy, Zieher Smith & Horton, New York (2015); N=7 / The Wake of Heat in Collapse, Signal Gallery, New York (2015); and Tide Offering, New Ideas Biennale for the New Museum with Schoolhouse Projects, New York (2013). 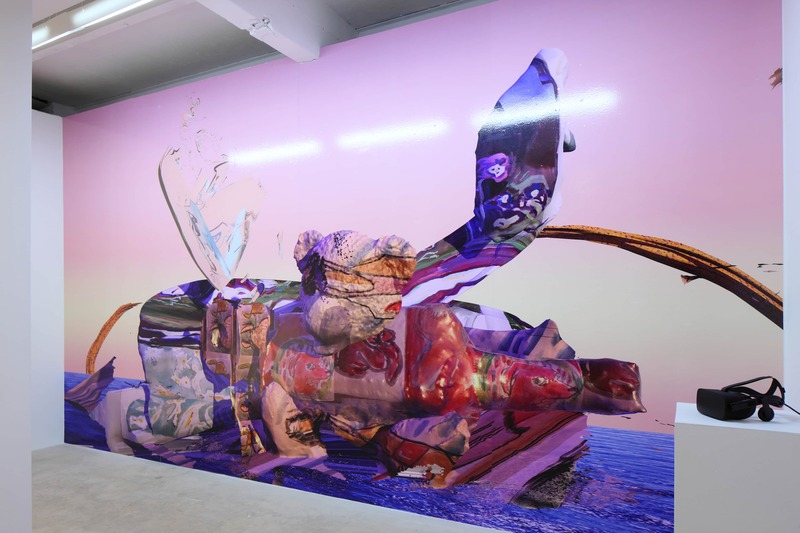 Rossin has also participated in group exhibitions including: First Look, co-presented by Rhizome, the New Museum, New York (2016); Olimpia’s Eyes, Zevitas Marcus, Los Angeles (2016); and Reconstructed Landscapes, Apex Art, New York (2016). Forthcoming shows include Hello World: Art after the Internet, Kiasma, Helsinki, Finland (2017) and The Unframed World, HEK, Basel, Switzerland (2017) and a group exhibition at K11 in Shanghai (2017). 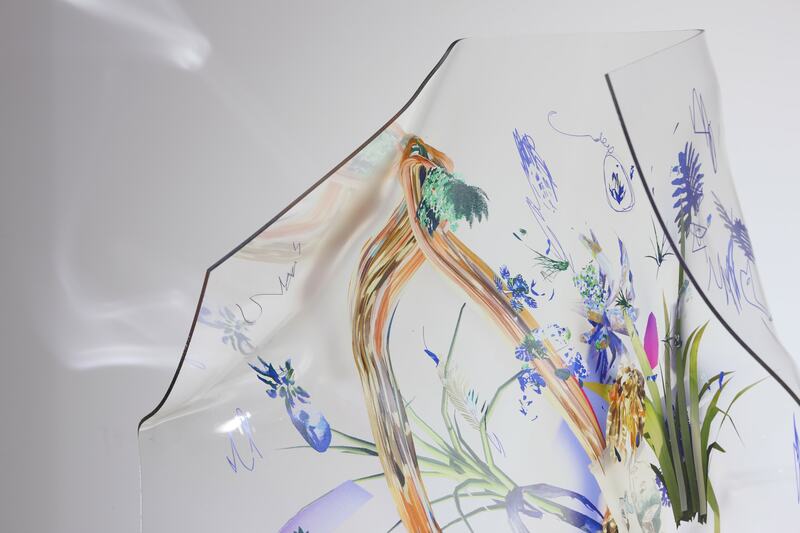 Rossin is the recipient of several awards and fellowships including a Fellowship in Virtual Reality at New Museum’s Incubator New Inc. (2015-2016), and a Kate Spade & Co Foundation Grant (2015), and her work is in the permanent collections of ALDALA, the Hall Foundation and the Zabludowicz Collection.